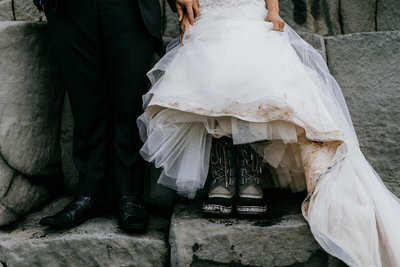 As a photographer who specializes in elopements and itty bitty intimate weddings I’m always curious about WHY my couples made the decision to skip the big wedding and elope instead. 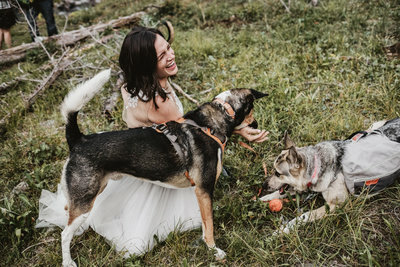 The reasons to elope are pretty much endless but here are a few of my favorites! Before we dive in, lets talk a bit about what an “elopement” is. Eloping used to mean running off to Vegas in the middle of the night and getting married by Elvis. 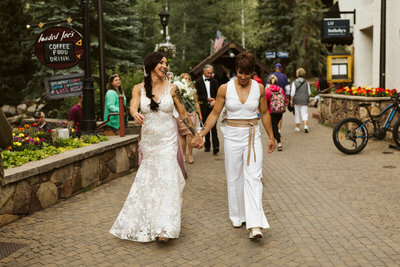 Fortunately the definition has changed considerably and most “elopements” are more like intimate weddings. They’re not unplanned, spur of the moment events that happened after was too much tequila. They’re more like intimate weddings (often with ZERO guests!) that are planned to provide maximum enjoyment and focus on the things that REALLY matter. So, without further ado, here are five reasons to elope (and one really good reason NOT to). 1. A big wedding just doesn’t feel like YOU. This is probably the #1 reason I hear and its a really, really good one. 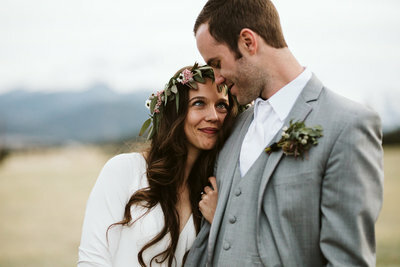 If you believe the wedding industry hype, by the time you find the person you want to spend the rest of your life with you’re supposed to have dreamt of your wedding for YOUR ENTIRE LIFE. But for a lot of my couples (and myself!)? That’s just not the case. While some people can’t WAIT for all that pomp and circumstance, others absolutely cringe at the thought. Maybe you don’t like being the center of attention or maybe you hate having to get all dressed up. For a lot of my couples, planning a big wedding feels more like something they are doing for EVERYONE ELSE than like something they are doing for themselves. They realize that this is a big moment and instead of feeling like they have to put on a show for hundreds of people, they’d rather enjoy the day in a much more intimate way. In 2016 the average cost of a wedding was over $30,000. Let that sink in for a moment. $30,000 is hefty down payment on a house. Or a year long trip around the world. Or a year of college tuition. And having watched so many couples plan big weddings, I’d bet that that average is very much skewed by the couples who are having VERY low key events in inexpensive places. I’d bet that weddings with 100s of guests at a fancy venue with killer food, an open bar, a live band, and all the bells and whistles cost way more than that. I’m not here to judge how anyone spends their money (at all!). If a big, fancy wedding is what you’re always dreamt of? By all means, go for it!! But if its not really what you want consider WHAT YOU WOULD DO with an extra 30 or 50 or 100 THOUSAND DOLLARS. The possibilities are endless. 3. 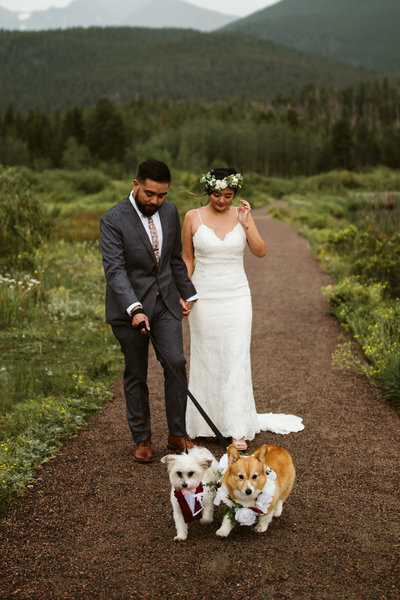 Eloping lets you focus your resources on what you DO care about. The beauty of not spending SO MUCH money on a wedding is that you can splurge on the things that really matter to you. 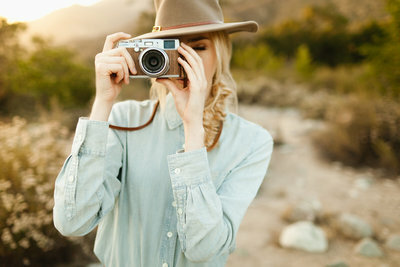 Like traveling somewhere incredible for your elopement, buying that dress that you LOVE, or hiring that photographer (hi!) that was out of budget when you had so many other things to worry about. 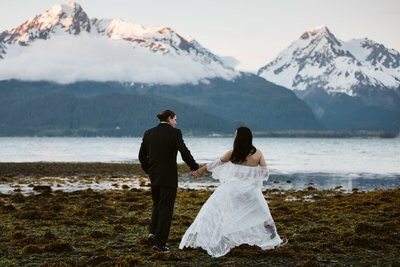 Planning a wedding for $10k and having it be everything you had ever dreamt of is very difficult but for $10k you can have a DREAM ELOPEMENT somewhere incredible. You have way fewer vendors to pay (often I’m the *only* vendor my couples – think about that for a second!) and that means that you can splurge on the ones that you care a ton about. 4. Weddings produce a LOT of waste. Are you ready for some staggering numbers? The average wedding in the U.S. produces 400-600 lbs of trash. Multiply that by the 2.3 million weddings that happen each year and you end up with … wait for it … over 1 BILLION TONS of garbage being added to the landfill. From everyone having an expensive, one-day party (source). 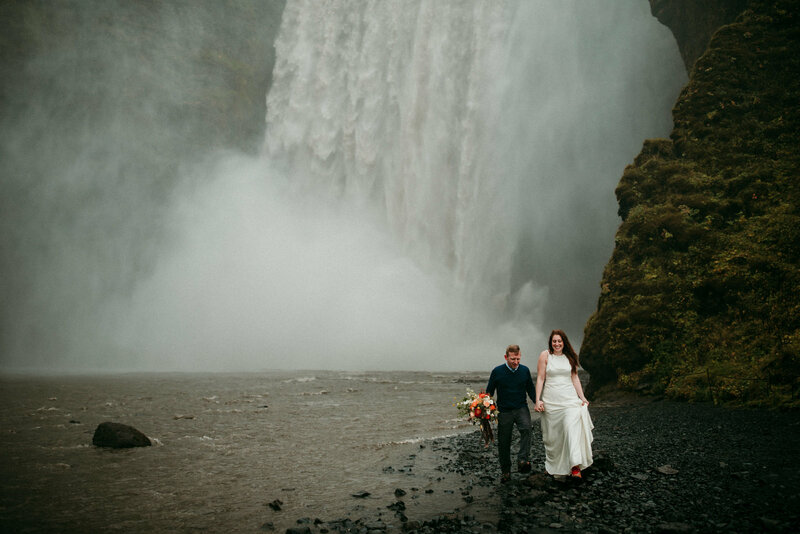 Sure, an elopement isn’t entirely without its impact on the environment but even if you fly off to the other side of the planet you’re probably STILL having way, way less of an impact. That’s huge! 5. Destination elopements are WAY easier to plan than destination weddings. If you’ve ever thought of having a destination wedding but don’t feel like you can invite all those people to travel around the world with you for your wedding, if its just the two of you (and maybe a handful of family and friends) its often a lot easier. The logistics are also WAY more simple. The legalities of getting married in a foreign country can be challenging and I always encourage my couples to do the legal legwork at home (i.e. go to your local courthouse) and make what you do at your wedding purely ceremonial (which doesn’t make it ANY less special!). Not having to jump through all those hoops in a foreign country will make things infinitely easier. The more people you add and the more your day becomes a “real” wedding? The harder it all gets. So find a beautiful spot in nature (need some ideas anywhere in the world? I can help!) and say your vows just the two of you to make life a lot easier. And finally, one reason NOT to elope. I feel like this article would be remiss if I didn’t touch on one very, very important point: eloping isn’t for everyone. 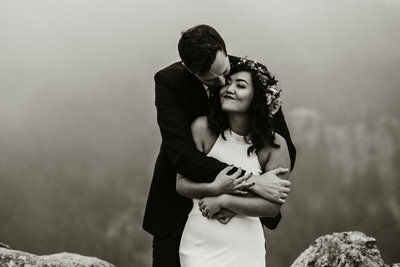 Elopements have become very trendy in the last couple years and as someone who believes that for a lot of reasons they are a killer way to get married? I’m all about it. But I also hate to think that anyone is feeling like they HAVE to elope because that’s what all the cool kids are doing. If you’ve always dreamt of a big wedding, please, HAVE ONE. If you want to do something elopement style but invite s a few friends and family along? DO IT (I shoot a lot of these and they’re awesome!). You only get one shot at this whole getting married thing (hopefully!) so make sure that you’re doing what YOU want to do and not caving from peer pressure in either direction. If you make the choice with intention and because you know that its the right one FOR YOU you can’t go wrong!